The Savage Gear 3D Hybrid Pike blurs the lines between hard and soft lures. 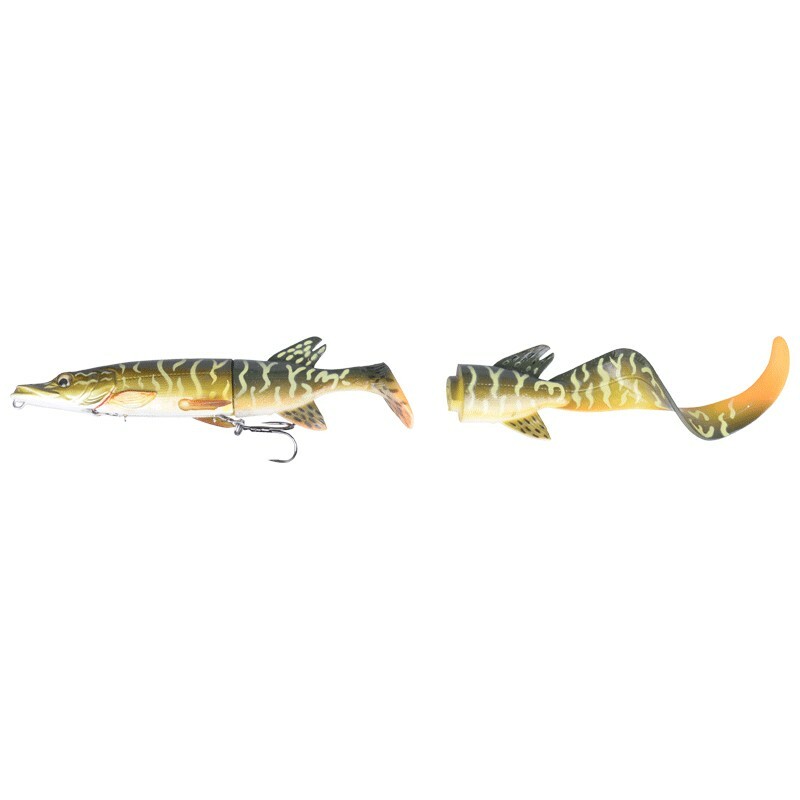 This hard body lure with replaceable soft tails will illicit the most savage strikes from Pike and Musky. 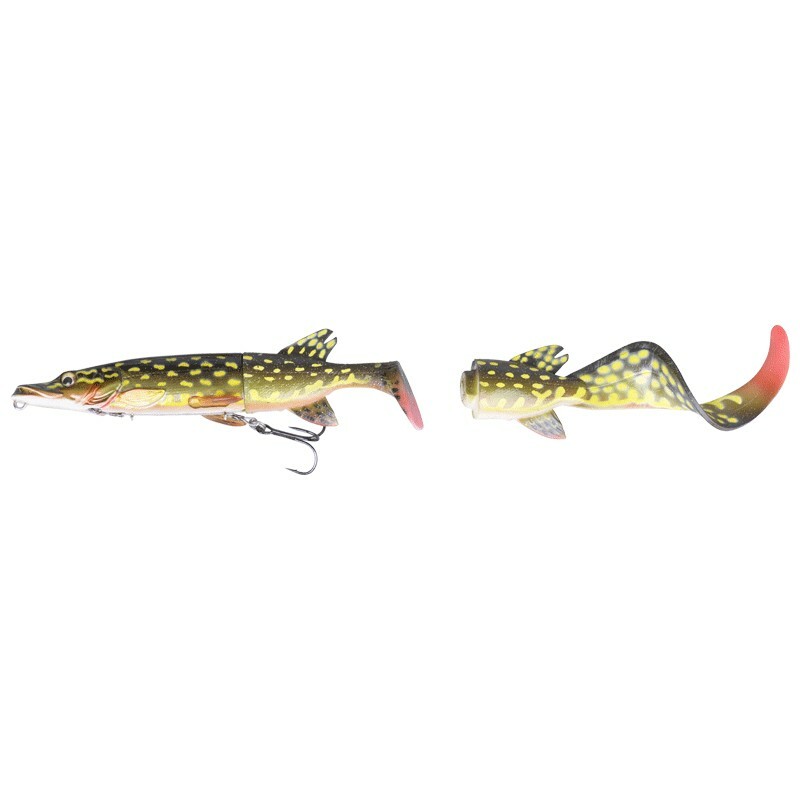 3D scanned from an actual Jack Pike, the life like colors make for the ultimate pike/musky lure. Supplied with 1 hard body and 2 soft tails (1 paddle and 1 ribbon). 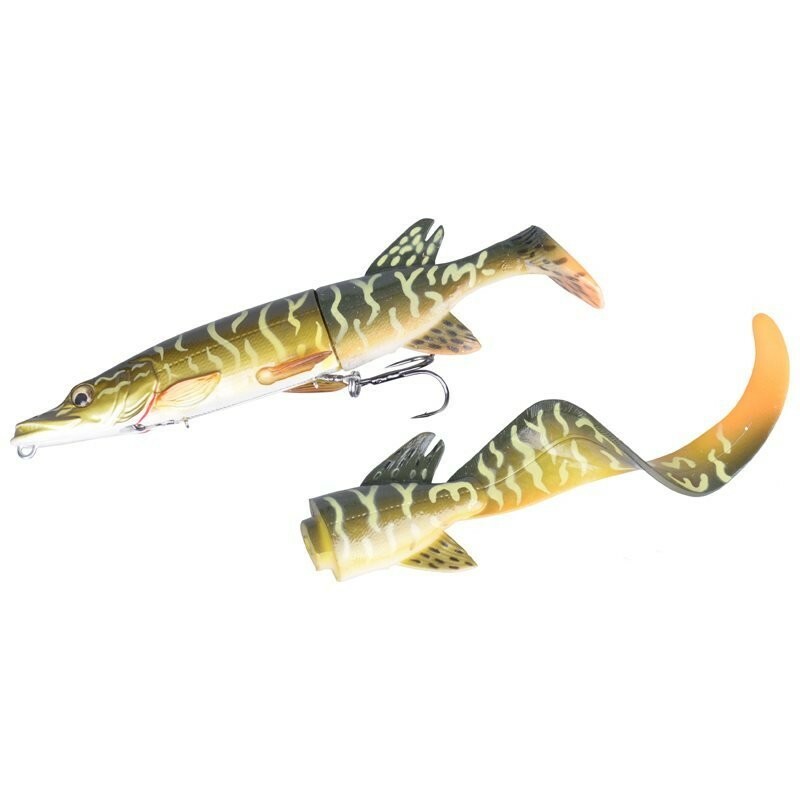 The two tail styles give you two different lures in one - The paddle tail makes this bait look like the real thing while the oversized ribbon tail calls fish from great distances.